It is interesting that most deniers seem to live in warm climates. They cannot conceive of the possibility that unusually heavy winter snow is connected with less than usual winter cold in cold zones, something that pretty much all of us who grew up in frigid zones understand perfectly well. They are so confused that they find this perfectly ordinary fact of mundane reality grounds for mockery. But to mock a connection between heavy snow in February in Moscow and global warming is pretty much clueless. Most deniers don’t seem to have a clue about snowy climates. Is this purely cultural, or is there an environmental influence as well? Perhaps those of us for whom the boundary between winter and the other seasons is sharply defined have a more visceral sense of the accelerating pace of climate change than those of us who don’t really have an icy season. But Watts is supposed to be a meteorologist. I can’t understand why anybody takes him seriously. I’m just saying anomalous snow isn’t always evidence of anomalous cold. Period. In particulr[sic], excessive midwinter snow in the frigid zone is more likely associated with anomalous warmth than anomalous coolness. Period. A meteorologist ought to know this. Period. Then I asked for chapter and verse. The internet keeps getting better; it wasn’t hard to find it. http://www.accuweather.com/en/ru/moscow/294021/february-weather/294021?monyr=2/1/2013&view=table. As I expected, temperature during the snow event was no less than 8 degrees Celsius ABOVE normal. I predicted this based on my understanding of basic meteorological principles. I am no Jeff Masters or Steve Skolnick, but I actually have some idea what I am talking about. Apparently WUWT, by doubling down on this, does not. "I can’t understand why anybody takes him seriously." Don't stare too long into an abyss, even if it is indeed important to understand the general nature thereof. Watts does live in Northern California where it never snows, though only a couple hours away from the Sierra Nevadas, where it certainly does. But really, you can't expect the Wattsian brain to grasp logic in any greater depth than "snow = cold." Even if he used to be a weatherman, spending all day every day on WUWT will cause anybody's mental faculties to atrophy. Pingback: Michael Tobis has bupkis | Watts Up With That? Watts only needs to look at all that orange and red in the Barents Sea, take a look at a weather map (shouldn't be a problem for a meteorologist) and then maybe he'll understand where yet another record weather event comes from. But will he then inform his donors of this possibility? Either way, it's the second winter weirdness event for Russia this year (after #3 on the list so far). In response to this item, Watts has a barrage of graphs, apparently intended to misdirect attention. Plus some ad homs in my direction, including the attribution of my own self-mockery about hats and cattle to Eschenbach. All of which totally misses the point. I'm just saying anomalous snow isn't always evidence of anomalous cold. Period. In particulr, excessive midwinter snow in the frigid zone is more likely associated with anomalous warmth than anomalous coolness. Period. So the bets are on the table. Who has a temperature anomaly figure for Moscow so far this year (during the midwinter snow)? I am willing to entertain the possibility, as I keep repeating whenever I write a blog post for the Winter weirdness-series. That's only logical, I believe, given the situation in the Arctic. All of these events are more or less extreme, otherwise I wouldn't bother to report. Snow and cold in winter isn't unusual. But we have just witnessed most of the records for the Arctic sea ice minimum being shattered in August, and the rest in September. Is it strange for me to entertain the thought that what happens in the Arctic, doesn't stay in the Arctic? I'm not saying it's 100% certain, but that would still be better than saying/implying there is no link Wattsoever. Yes, it's all interesting and thought provoking, and the sea ice is part of it, but the system tends to resist simple causality arguments. It's all very tightly coupled, which is part of the interest. But whether the role of the sea ice is large or small (and my physical understanding is that it should be small in winter) is beside the point. The point is that even in Moscow in February, Watts takes anomalous snow as evidence of anomalous cold. But in Moscow in February (as it would be in Montreal in February) heavy snow is evidence of anomalous warmth. "and my physical understanding is that it should be small in winter"
Yes, there's not much albedo feedback when it's dark. But the ice is much thinner and there's less of it on the edges. That means more heat and moisture is released to the atmosphere, as perhaps the orange and red on this other map shows us every winter. It could be that the moisture from the open and warm Barents Sea gets transported to parts of Russia and then falls as snow. Or what is also known as Lake-effect snow. If this is the case, 'small' would not by my choice of definition. Temperature during the snow event was 8 C above normal. Thus there is no intrinsic "logic fail" in considering it a warming-related event as you originally implied. That neither proves nor disproves the case. As you point out, no single weather event can, though some persistent patterns (Hoerling's mistaken NOAA analysis notwithstanding) can offer strong evidence. I've argued that before and I will happily argue it again. But all your backpedaling and obfuscation aside, this snow event is associated with a large warm anomaly. Wherever it fits in to the balance of evidence, it is a significant warm event, not a cold event at all, and that's why your mockery of it is woefully misplaced. Wow! That's quite a gash. Yes, open water moist thermodynamics is surely as important as albedo effects. Probably more so. However, I was presuming that winter ice had already covered the open waters of the Arctic. Moscow is pretty far inland for a lake effect, but on the other hand I stand corrected about the small effect of the ice. That will definitely mess with the system on the mesoscale at least. Anthony often posts in haste and regrets at leisure. Even he has heard the old adage 'too cold to snow.' I hope he walks back his statements. I think Anthony Watts rebuttal data shows you perspective to be in error ! I don't. Got anything of substance to add? "The popular warmist theory is that reduced summer sea ice causes the enhanced snow effect"
"Our current epoch of ice ages, Ewing and Donn argued, had begun when the North Pole wandered into the Arctic Ocean basin. The ocean, cooling but still free of ice, had evaporated moisture and promoted a pattern of severe weather. 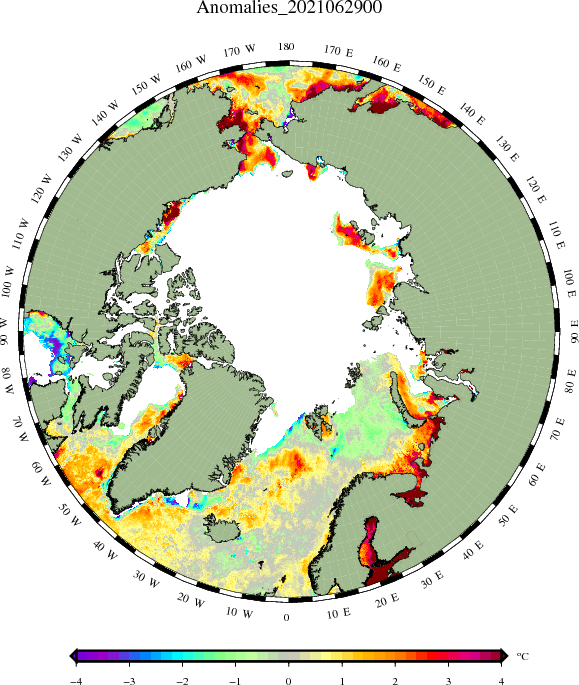 Heavy snows fell all around the Arctic, building continental ice sheets. That withdrew water from the world's oceans, and the sea level dropped. This blocked the shallow channels through which warm currents flowed into the Arctic Ocean, so the ocean froze over. That meant the continental ice sheets were deprived of storms bringing moisture evaporated from the Arctic Ocean, so the sheets began to dwindle. The seas rose, warm currents spilled back into the Arctic Ocean, and its ice cover melted. And so, in a great tangle of feedbacks, a new cycle began. This theory was especially interesting in view of reports that northern regions had been noticeably warming and ice was retreating. Ewing and Donn suggested that the polar ocean might become ice-free, and launch us into a new ice age, within the next few thousand years — or even the next few hundred years." I think the problem with the theory, or at least the way that Wysmuller runs with it, is that the continuous forcing of greenhouse gases is ignored. And so we might be seeing the start of a trend in positive snow fall anomalies for the Northern Hemisphere -in winter - which would be consistent with the Ewing-Donn theory. However, during spring and summer we're seeing a drastic negative anomaly, and that points to AGW. Which brings me to my second point: the Willis Eschenbach graphs. It's not entirely clear to me what is compared. Arctic sea ice area is clear enough, but is the trend line for snow fall for the whole year, or just for winter? If it's for the whole year, then I would guess the summer negative anomalies compensate for eventual winter positive anomalies. But it's difficult to speak of trends, as - like mt says - complexity will probably hide the link through random noise. remember, it's 'only' since 2005 that the Arctic really has started with the spectacular records, and not enough heat is stored during the melting season to really impact winter ice formation in similar spectacular fashion. One other point I would raise (as a complete statistics noob, I admit), is that perhaps it isn't entirely accurate to compare anomalies in millions of km2, as we are talking about oranges and apples here. It would seem that NH or even Eurasian land masses cover a much larger part of the planet than the Arctic sea ice. My final point addresses the Moscow temperature graphs that Watts puts up. This would seem to negate mt's point (I'm agnostic on that one, as I haven't thought it through that much). However, just as no man is an island, neither are state capitals. Looking again at a graph I linked to earlier, the NCEP global surface temperature anomalies for the past week, it is clear that the area surrounding Moscow has been about 6 degrees C warmer than the 1981-2010 average. The snow has been falling on and off since November-December, but I don't know during which temperatures most of it fell. It would seem to me that the recent snow that caused the traffic jams, has fallen during (relatively) warmer temps. BTW, I had another look at weather maps and now don't think that open water in the Barents Sea has much to do with the recent snow. I mixed up my highs and lows. And anyone who grew up in a cold place can tell from a glance at the way the people in the photo are dressed that it's not very cold there at all (for Moscow in early February). Probably not much below freezing, maybe even somewhat above. Re Francis and Vavrus, I'm also not entirely convinced that the sea ice coverage is the direct driver of the jet changes. That both are consequences of Arctic amplification makes more sense to me (IANAS, note), but that's a distinction with almost no practical difference. Eeeek, Ice Age Scaaaare! Neven, I hope you didn't revive (like Dr. Frankenstein) that old denialist meme. I can't find a way to imbed the video which is the point of this suggestion. I know SSW isn't the same as the phenomena affecting jet stream/Rossby wave alteration, but I think Jennifer Francis' work makes a valuable contribution in analyzing the connection between Arctic "exhalation" (yes, I know that too is an imperfect analogy) and weird weather further south. There is no way anyone is not going to relate best to local short-term weather. I notice that even those well schooled in the difference between climate and weather are not immune from mentioning it. It is therefore important to elucidate the connection between warmer weather further north and cooler weather further south. Since the jet stream directly affects where I live and travel, its action is part of my daily life, not a theoretical idea. Neven has been on the front lines here, both scientifically and observationally, but my view from the sidelines is that those Arctic invasions further south are sometimes indicators of a loss of cold further north. I see I have come dangerously close to the "warmist theory" here. I do not, however, think I'm wrong to note the parallel changes. Neven hardly needs to, Martin. Watts et al. do it every NH winter. Hah! "lake effect snow" - that's a good parallel. IW the Barents Sea is much more open than it has been in the past, meaning that winds coming from the NNW towards Moscow will be much wetter than normal. Consistent with snowfall here in Colorado (lived here since birth, 56 years ago) Warmer weather almost always = bigger snowfall events. When it's cold, we get less snow. I'd say these observations--utterly anecdotal--would be in good agreement with the weather records. His snowfall vs. temperature charts are interesting, apparently coming from Steve Goddard. They show that it snows more when temps are right around freezing than it does when temps are in the high 30s or low-mid 40s (fahrenheit, though it doesn't snow much at 40C, either). Therefore, if it is warmer it snows less. Presumably, it rains more. Now that's missing the point in a very obtuse, willful, and obvious way. Obvious to all but those posting there, of course. Funny how those Steve Goddard charts only start a little bit below freezing. Maybe a chart showing the relationship starting at -20C might be a little different.